Tom Clark says desk jobs he has worked in the past have involved 50- and 60-hour workweeks, not including daily preparation and commutes. 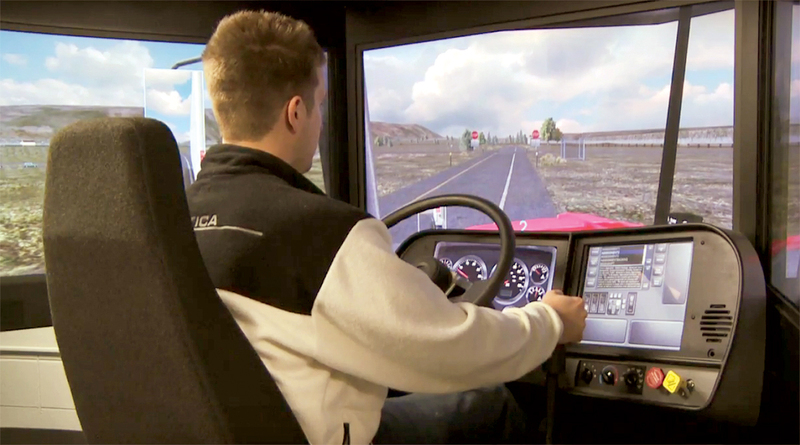 The trucking industry wants more people like Clark, a student at Crowder College’s transport training program in Neosho, Mo., which trains aspiring professional semitruck drivers. If a 2017 study by the American Trucking Associations is correct, Clark will have little trouble finding a job behind the wheel. The industry trade group says that the United States is 50,000 truck drivers short of the number it needs now and projects that the shortage could balloon to more than 174,000 over the next eight years. The cause for the shortage is multifaceted, said Bob Costello, chief economist and vice president of ATA, and the author of that report. For Clark, an Orlando, Fla., native, the money is worth it. Jeremy Hardy, of Birmingham, Ala., is another student at Crowder’s school. He says the lifestyle of a truck driver appeals to him, and that he has been interested in the industry from a young age. Regan Stephens, president of Joplin’s Transportation Distribution Co., says he has raised drivers’ wages by 25% in the past two years in an attempt to recruit drivers. Another draw for the company is that its shorter, regional routes mean drivers are all home on weekends, Stephens said. Even so, the competition for drivers is “pretty fierce,” he said. If Stephens could do one thing to address the issue, he said it would be lowering the minimum age for interstate drivers from 21 to 18, a step also recommended in the ATA report. Particularly for individuals who do not go to college, the fear is that they will spend the three years before reaching legal truck-driving age searching for work and potentially getting entrenched in other careers.